For some people, pulling the Christmas tree out of the attic is a Thanksgiving tradition. But for a lot of families, it's just not Christmas without a real tree. There are plenty of options to get a real tree, as it seems like a lot pops up on almost every corner or parking lot. But if you're looking for something a little special, check out one of the area's "choose and cut your own" lots. There aren't any "cut your own" farms actually in the limits of Charlotte, (in fact, there actually aren't even any in Mecklenburg County that I could find) but that doesn't mean they're not close by. Listed here are the closest ones to Charlotte. For each destination, the distance and time is listed from center city Charlotte. Of course, this will vary depending on what side of Charlotte you're on! But most of them aren't more than an hour away. Hours: 9 a.m. to 6 p.m. Monday to Saturday. Closed Sunday. Stowe Dairy Farms will have Leyland cypress, red cedar, Carolina sapphire and white pine trees available for cutting. Fraser firs from the western N.C. mountains and mixed green wreaths will also be available. Choose and cut trees are about $25 to $30, Fraser firs are about $40 to $60. The farm will also offers other activities and products from the area. Visit their website for more information. Penland has Virginia and white pine, Carolina sapphire, red cedar and Leyland cypress, Christmas mint cypress, plus pre-cut Fraser firs. They'll also have hayrides, wreaths, a gift shop and hot chocolate. Santa’s Forest will have Leyland cypress, Carolina sapphire and Fraser firs. They also have a zip line, farm animals, hayrides and nature trails. For 2015, all trees were only $40, and they did have several trees over 12 feet tall! Hours: 9 a.m. to 5 p.m Friday and Saturday, 1 to 5 p.m. Sundayuntil Dec. 24. Virginia pines and Leyland cypress trees, ranging from about $25 to $25. Pa-Pa John's (no, not the pizza guy) will offer Virginia pine, white pine, Carolina sapphire, Leyland cypress, Eastern Red Cedar and Blue Ice, plus pre-cut Fraser Fir. E-mail Papajohnschristmastreefarm@yahoo.com ​for more information. 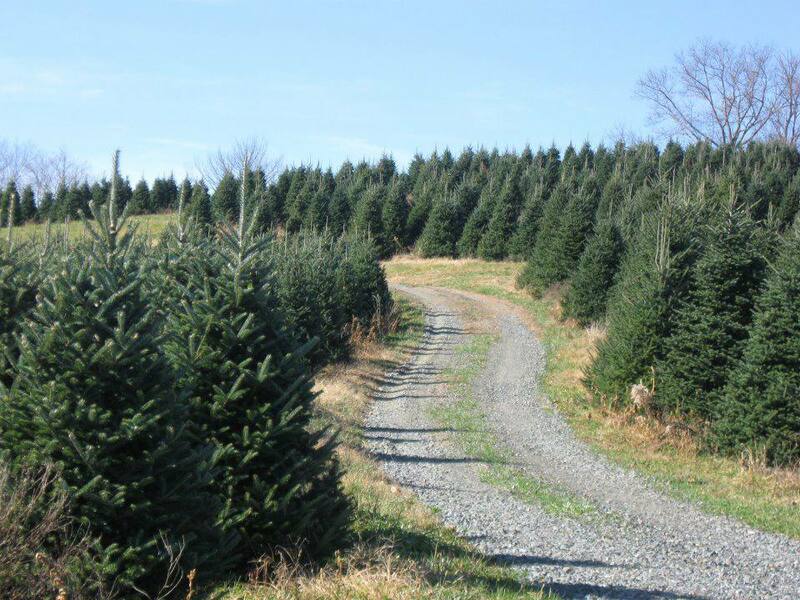 Helms Tree Farm will have white pine, red cedar, Leyland cypress, Carolina sapphire, and white and Colorado blue spruce trees available, in addition to pre-cut Fraser fir. The farm will also have covered-wagon rides, wreaths and a shop. Hours: Nov. 23 to Dec. 20, 9 a.m. to 8 p.m. on Monday to Saturday, 10 a.m. to 8 p.m. Sunday. Virginia pine and Leyland cypress available for cutting, but they'll also have pre-cut Fraser firs. Taylor's Farm has two farms that offer Virginia and white pines, Leyland cypress, Clemson green spire, Carolina sapphire, plus pre-cut Fraser firs. They'll also offer wreaths and other greenery.